The saying goes that in every relationship, there’s always a reacher and a settler. The word “relationship” here doesn’t merely focus only on boy/girl romance and fluttering hearts, it also refers to working relationships, friendships, heck even family relationships. 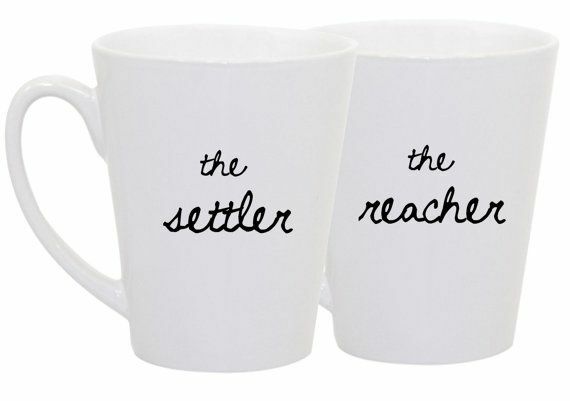 In any human interaction where there are at least two people, there will always be a reacher and a settler. So then, who is a reacher and who is a settler? A reacher in a relationship is someone who is perceived to be going above his/her level. Pushing past their boundaries, or going out of their comfort zone. While a settler as the word connotes is a person that settles for someone below their level. Simple really, the words do explain themselves. Now I know I said earlier that the concept of the reacher and settler exist in all relationships, but for the purpose of this write up, emphasis will be laid on the boy/girl romantic relationship. In my limited number of years on earth, I have seen quite a few things, but it is only on rare occasions where I see two people who are dating that are absolutely on the same level. And how do you determine the levels of people in a relationship? It’s like a point game. You get points for being beautiful, smart, funny, charismatic, rich, and all those lovely attributes we seek in our partners. The point being that the partner who has more of these attributes will most likely be the settler, while the partner who has less will be the reacher. That’s the basic theory, there are of course variations. Another way of determining the level of partners in a relationship is determining who has more choices/options? Who is more sought after among the partners? In most cases, the person who feels that he/she has more options is more likely to be the settler, while the partner who feels he has gotten as good as it will ever be will be the reacher. I hope this is starting to make sense. Now what is the fallout of the reacher/settler dynamic? It’s not rocket science really. If you are the reacher, then you will most likely be the one putting more effort into keeping the relationship going. You call more, spend more, visit more, all because of an innate fear that once that your partner goes, you can’t get any better than that. Is that fear right or wrong? More on that later. The negative aspect of the reacher/settler dynamic is that the settler tends to be a little more assured of his/her position and thus tends to be a little too confident and leaves the major load of carrying the relationship on the other partner, because what the heck, the reacher is reaching, he/she isn’t going anywhere. But where this usually gets really annoying is when the settler now starts treating the reacher like a piece of garbage. And this is something that if we pay attention and observe, we see in relationships around us. Where a girl keeps breaking up with her man, and it’s the man that’ll be begging for her to take him back, we do not need a soothsayer to determine who’s the reacher in that relationship. Or where the girl catches her boyfriend cheating on her severally and bears it all in silence, that too is pretty obvious. So, what then is now the way forward? The fear of losing your partner is a normal thing, or at least I would like to think so. Nobody would want to waste years of effort on a relationship that leads nowhere. But the line should be drawn where such a relationship becomes abusive. Not just physical abuse, but emotional abuse as well. And it’s all tied to one thing. Self-esteem. I have seen relationships where an ugly little man is dating a beautiful damsel, and yet the girl is the one jumping through hoops for the man. A friend of mine calls this conditioning, I call it self-esteem, knowing your own worth. When you know your worth, nobody can cheapen you. That feeling that if we break up, we will both lose, not that I (the reacher) would be the only one to lose because I went above my level. Build yourself up, make yourself more attractive, dress better, pursue your goals, be confident, and the person who was reaching one day might suddenly find himself being the one settling because the secret is this, when you feel you have arrived and have it all (the feeling of a settler), you see no room for improvement, but when you feel you still have so much untapped potential (the reacher), you might surprise yourself with how far you can grow. ← WHAT IS GOOD FOR THE GOOSE IS GOOD FOR THE WOMEN. I think if we all ruminate on this properly, it may impact positively on our relationships. It may lead to our understanding of ourselves and making all the necessary adjustments in our relationships so as to place each partner in a coworker position and see ourselves as partners working together as such to achieve more stable and loving relationship.